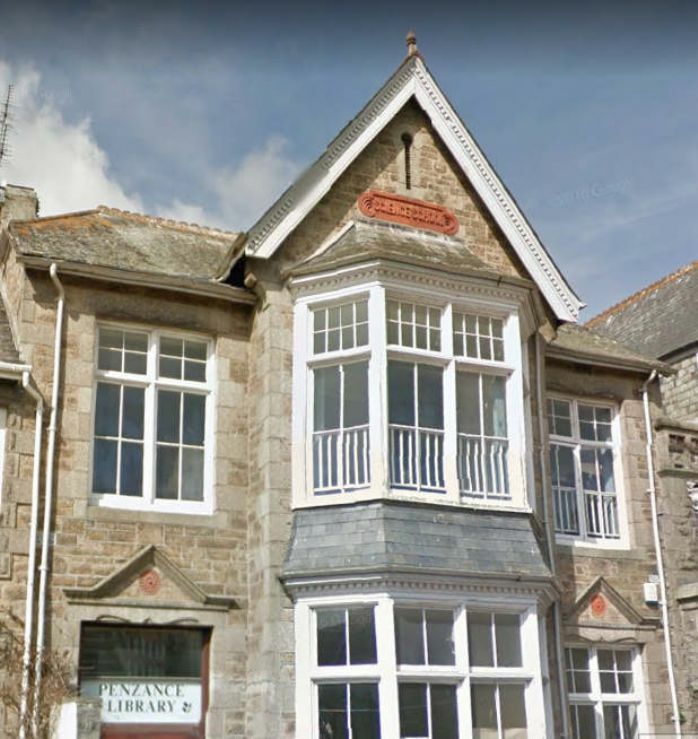 For far too long, in fact for the 15 years of its existence, Penzance Science School has laboured away in a damp, subterranean corner, underneath the Geological Society’s west wing of the Public Buildings. But that is to change. We are coming to the end of the nineteenth century now, and there is a recognition that those who wish to better themselves deserve better. Not that the Science School has been unsuccessful. On the contrary. Two men, Mr Angwin and Mr Wallis, have won Whitworth scholarships and gone to universities, with money in their pockets. So what may we not expect, once the new building is in full operation, and Science brought out into the light of day? The design of the new building is ambitious. It will be right next door to the Art School – forming a cultural focus, if you will, for those who wish to improve their own prospects, and those whose job it is to bring the most modern knowledge and thinking to the town. There is to be a lecture hall and a laboratory, both of impressive size, and separate assay and balance rooms. But the aesthetic element has not been overlooked. The architect has promised gables, decoration - a portal that students will be proud to enter. The plans are in perfect sympathy with the new houses on the Morrab Estate, Penzance’s latest prestige development. There will be two bay windows looking out onto the new road, and a tower to aid ventilation. Mr Bedford Bolitho MP steps up to lay the stone, with a finely-wrought silver trowel and a witty little speech about how it will “serve to remind him that art was now wedded to science, for no one could deny that the pretty little instrument was a work of art, and those present would have an opportunity directly of seeing in what a scientific way he should use it”. In the cavity behind the stone he places “a bottle containing a copy of Monday’s Evening Tidings, a scroll bearing the names of the Committee, and a specimen of each bronze and silver coin … of the current year”. He speaks of the benefit of Art to Science; he speaks of Darwin and – of course – our own Sir Humphry Davy. Lord and Lady St Levan are there too, and of course the mayor, and the bishop, and plenty of other dignitaries. A whole host of distinguished - and many aspiring - gentlemen. And ladies too, let it be noted. There is a special prayer for the occasion: “that, in the building which shall be raised upon the foundation stone now to be laid, truth may be studied, and knowledge increased”. And indeed, everyone in attendance will most devoutly hope that “every fresh advance in wisdom and understanding may reveal more of the glory” of the Lord. So the old basement at the Public Buildings will be left behind. Few will be sorry about the move, when it comes. Instead of descending into darkness, students and lecturers will be able to raise their eyes from their experiments and see daylight through the windows. And soon – who knows? Perhaps even a Free Public Library!